As soon as I got back from Washington, it was time to begin fishing in earnest. There is a lake near me that has an abundance of non-Bluegill panfish, golden shiners, crappie, and supposedly Bowfin. 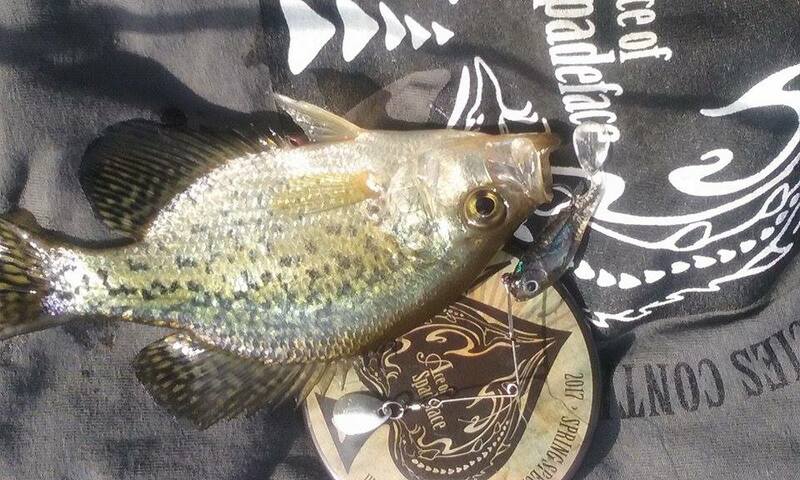 I scouted it before the contest and caught black crappie, pumpkinseed, and green sunfish, but didn’t see any Shiners. I did, however, decide that it looked like a decidedly ‘finny lake. The Minnesota DNR (Department of Natural Resources) had not sampled Bowfin in the lake, but a local had told me that there were a lot of “dogfish” on that side of the lake. The DNR had also not sampled Common Carp, and I saw a TON (hundreds) of stunted Carp rising and bubbling the last time I was there. There are a lot of lily pads with pockets of clear water in between and an overabundance of bite-sized prey species – how could this lake NOT hold bowfin? First thing’s first – I have to get some of the easy species out of the way. I hike out a ways to the place I know there to be a ton of crappie and pumpkinseed in the rocks, and start bouncing around a small redworm. 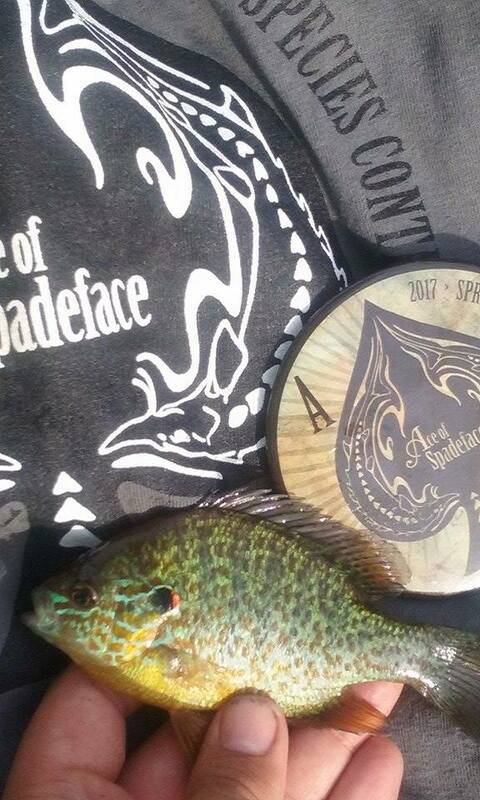 After a surprisingly long period of time (15 minutes), I finally got a Pumpkinseed. Since I wasn’t getting any incidental crappie with that method, I decided to switch to a minnow-looking spinner thing (this is the official name on the package) and toss in the deeper water close by. On my first retrieve, I had a hit. On the second cast, I didn’t miss the hookup. It was so easy to catch them there that I stayed and caught a few more for fun before grabbing a few small Green Sunfish for bait and moving to a likely-looking batch of lilies. Still no sign of Golden Shiner activity, but I would be happy if I could go home with 3 species for the day. I halfheartedly set up a redworm under a float and set it near some other lilies, and set up my free-line (weightless) chunk of sunfish for the bowfin that I knew had to be there and waited for night to fall. After an hour or so, I began to see a lot of bowfinny surface activity – rolling, gulping, and even one which partially cleared the water to get…an insect? I don’t know. Maybe it had been trying to get the small bird which had just flown by overhead. I switched to a bobber setup in case the freelined chunk of cutbait wasn’t in the right strike area, and fiddled around with that for another hour or so, watching bowfin rise all around. Once it got dark, I switched back to freeline, and continued to wait. I finally got a bite. Unfortunately, it was a gentle one, and only committed after several pecks. I knew what that meant. I should have gotten it away before the pecks turned into a full-on bite. Before I knew it, I had a MASSIVE Snapping Turtle thrashing (insofar as turtles can thrash) near shore. It had to have been at least 2 feet wide and 30+ lbs, and it was PISSED OFF. Since this was a lake, it naturally got itself tangled a bit in the weeds near shore, which made it extremely difficult to get any leverage against it so I could unhook it and send it on its way. Every time I pulled, it reared back and reset to its position near shore. Finally, I gave up on it, and pulled straight back with all of my might. It broke off because it weighed more than 15 lbs, and I had to re-tie. I spent a few more hours desperately fishing to the bowfin that I knew must be there, but catching nothing more. I’d be back to have my rematch with those fish.